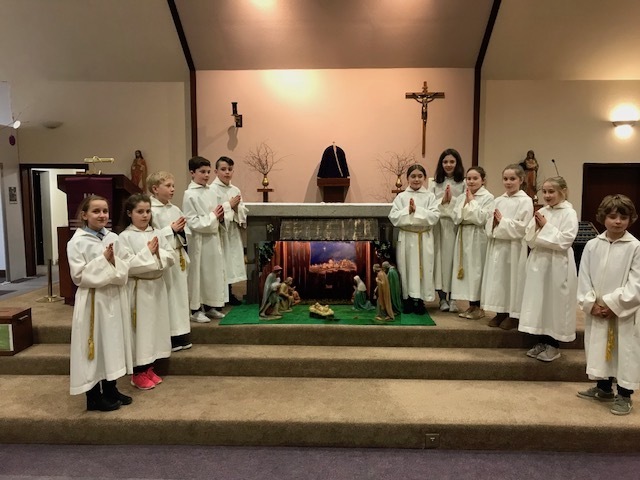 Our altar servers looking particularly holy! From bottom left to bottom right, they are:Niamh Porter, Jamie-Lee Allan, Joseph O’Hara, Bailey Fleming, Jamie Gordon, Lucy Smith, Chloe Dewar, Meara Fisher, Holly Fleming, Johann Gillon and Charlie Toohey. A big thank you to them for their service and commitment.